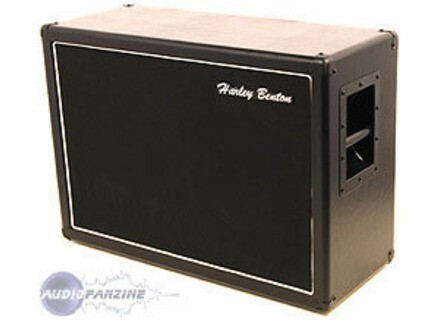 G212 Vintage, 2x12 Guitar Cabinet from Harley Benton. Loran4444's review (This content has been automatically translated from French)" Is cheap .... but ..."
So, yes, the price of the cabinet is the price of only 2 HP .... therefore, can not complain about that side! Live ... by testing quickly and without direct comparison ... it is misleading. So I plugged the baffle my LP and my tube amp and I wondered if there was not a problem !!!??? == Not very nice sound! (Lack of bass, while screaming ... etc. ...). 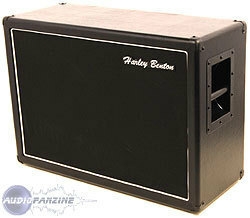 I was looking for my Randall 2x12 cabinet with V30 also: another world! This is not a high-end speaker. I'm not talking a small difference .... I'm talking about a huge sound difference ... eh! the same kind of sensation when passing a copy of LP at 100 euros a real LP ... or when passing a Vamp in a tube amp. Anyway ... to begin, it appears that available .... but you start to invest in a guitar and an amp correct, I find it a shame to ruin a speaker of this type. Like what, wood crates, it's cheap but it's better to light the fire!